Big improvement over my Edge 800 it replaced. I use the Edge 820 on both my Mountain and Road bikes. It replaces an Edge 800 used on my Road bike and an Edge 500 used on my Mountain bike. The screen visibility in both low light and bright light is superior to my other Edge computers. Set-up was easy. I like the way ride data downloads wirelessly to my cell phone ap. Overall, very happy with the purchase. This is my third Garmin bike computer and the best to date. The purchase from WBW was easy and a good value. I've had the 820 for about a year now and here are my thoughts. Connect to a bunch of sensors flawlessly and easily, connect to phone via BT much better than my Garmin 510, group connect works well, navigation works well and workout screens are ok. Connect IQ apps for training peaks is very nice to have. The touchscreen sensitivity annoys the hell out of me and if the 520 had group connect I would never have bought the 820. 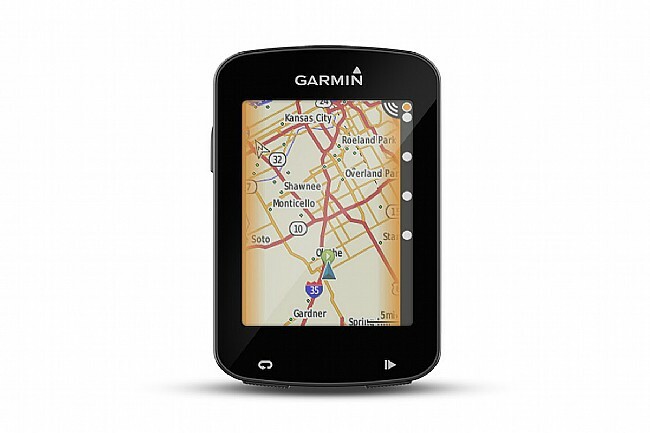 This is my 4th Garmin device going back to the 705 and all of them arewere very good. This newest one (for me) tops them all with all its features and connect options including being able to connect to your phone and to other Garmin devices. Maps are also very intuitive and has never given me any issues. Great improvement over the 810. Updates are easy with Wi-Fi and so far has been flawless. I map routes on Ride with GPS and upload them to the 820 which automatically syncs with Garmin Connect and my phone. Good battery life. Simple to use. Improved accuracy over the edge 800 I used for several years. Bought 820 for my wife, liked hers so much I bought one for myself as upgrade to the great Edge 500. The 820 has more data screens, more potential data entries and is much easier to read than the 500. Map function fantastic and the smaller size than the 1000 is not a problem. My favorite function is Bluetooth connectivity, so phone calls and messages pop up automatically without digging out my phone. Very easy to set up. Touchscreen not my favorite interface, but thankfully still has onoff and startstop buttons. For the technical stuff, there are many reviews online you can find. But if you are considering getting this, get it from western bikes! Best customer service , shipping! My go to online bike store. Western Bike Works is my go to online bicycle shop. They offer great online sales. 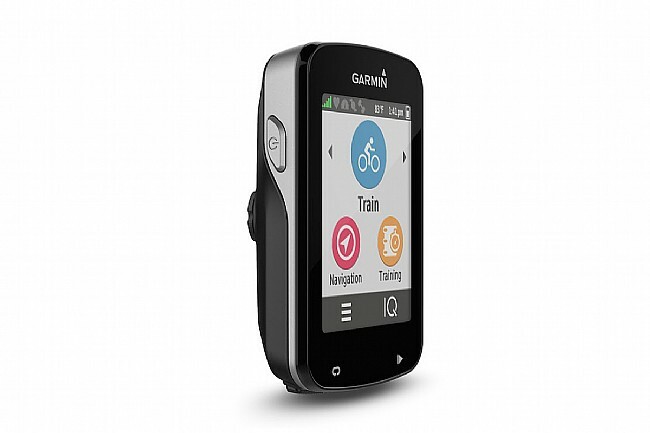 This is my 4th Garmin Edge. I can't be more pleased.